CALL FOR PAPERS: “Indigenous Brazil”The Federal Constitution of 1988, a juridical symbol of the Brazilian state’s process of re-democratization, also promoted a significant alteration in the conceptual and juridical paradigm of indigenous politics in Brazil. Amongst the established rights and guarantees for Indigenous Peoples, cultural specificities, the right to historically occupied land and autonomy would be expressly recognized. After almost 30 years since the proclamation of the Carta Cidadã of ’88, it is time to evaluate how political, economic, and social dimensions have influenced the processes and promotion of these rights, and focused on the established relations with Indigenous Peoples in Brazil. 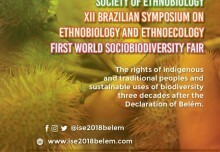 Brasiliana therefore proposes to open a space for debate to discuss Brazil from perspectives departing from relations involving the indigenous part of society. The dossier is open to discussions and critical analyses regarding these relations, most of all when they concern interaction with other actors, such as the state. It also seeks to bring together contributions and reflections on the theme, beginning with dialogues on the international scene, especially those referring to Latin American case studies and contexts. 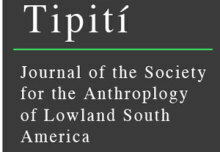 The Journal will accept articles with foundations in the most diverse areas of knowledge, such as anthropology, sociology, law, sociology of law, history, economics, linguistics, music, cinema, visual arts, and memory, amongst others, and those that take on themes relating to land and territory, public policies, participation, action and the indigenous struggle, or any other relevant theme within the debate on relations involving indigenous peoples. Articles should be submitted online before January 15, 2016. 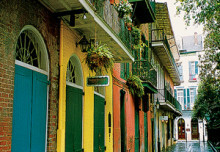 This issue will be co-edited by Maria Augusta Assirati and Carolina Schneider Comandulli. 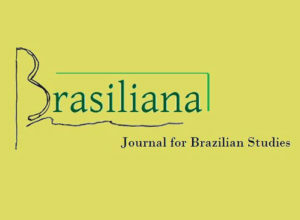 Brasiliana continues to accept submissions of articles on Brazil in general and reviews of recent publications for its other sections.